For most kids, the image of a dental office involves pain and scary instruments. This is why they’re not so popular among the young ones, to the point that parents do all sorts of things to convince their children. While this was a common sight in the past, technology today has made dental care less scary for patients. Your child can now relax in the dental chair during the procedure, and that’s all thanks to sedation dentistry. There are different types of sedation used by kids’ dentists in Murray. This can be delivered through the nose, mouth, muscles, or veins and comes in different levels. The level of sedation that dentists aim for mainly depend on the length and type of procedure that the child needs to undergo. This is also called anxiolysis since its main objective is to keep the child relaxed. In the sedation, your child remains fully responsive in a relaxed state. Mild dental sedation is usually administered in a gaseous form intranasally and is generally used for short procedures like dental checkups. Though the sedation impairs a child’s physical or cognitive functions, the ventilatory and cardiovascular functions and airway reflexes remain intact. This is also called moderate analgesia or sedation. It suppresses your child’s consciousness using different drugs taken through the mouth or delivered through a venous or intranasal catheter. During the sedation, a child will purposefully respond to verbal commands either independently or through a light tactile stimulation. There are no interventions needed for the maintenance of a patent airway in the sedated child since they maintain spontaneous ventilation. The child’s cardiovascular function is also fully maintained. This form of sedation results in a depression of your child’s consciousness from which they cannot be aroused easily. The child will, however, still respond purposefully in a painful or repeated stimulation. As the sedation impairs a patient’s ventilatory function, there will be different machines used to maintain a patent airway and support spontaneous breathing. Cardiovascular function is maintained and requires no support. 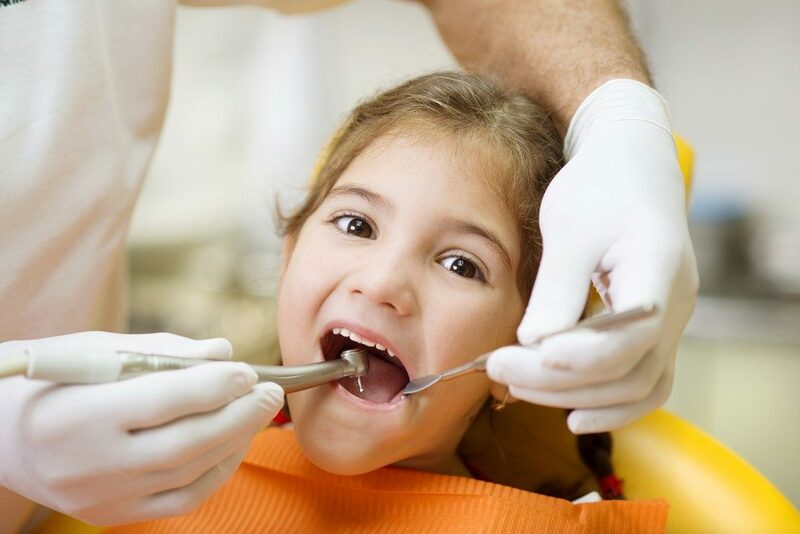 Deep sedation is used for lengthy dental procedures and in extremely anxious children. This is a loss of consciousness from which a patient cannot be aroused even with painful stimulation. Ventilatory, neuromuscular, and cardiovascular functions are impaired. Positive pressure ventilation and other techniques will be used to maintain a patent airway and cardiovascular functioning through the dental procedure. With these levels of sedation, you can guarantee that your child’s visit to the dentist will be something they will look forward to. The scary-looking instruments used in most dental procedures are kept out of your child’s view and only brought out when they’re already sedated. While most parents worry about the side effects of sedation drugs, many have proven that this is effective. There are different elements to consider before settling on the drug that will be used and its dosage. This ensures that the child suffers minimal or no side effects from the administration of the sedative regardless of the procedure’s length.